In the United States and Canada, redlining is the discriminatory and unethical practice of systematic denial of providing services, particularly financial services, to residents of certain neighborhoods or communities associated with a certain racial or ethnic group. The denial of services can be accomplished directly (e.g., prohibiting the grant of loans to a certain racial group) or indirectly (e.g., imposing higher interest ratesInterest RateAn interest rate refers to the amount charged by a lender to a borrower for any form of debt given, generally expressed as a percentage of the principal. The asset borrowed can be in the form of cash, large assets such as vehicle or building, or just consumer goods. for the borrowers from a certain racial group). Redlining is typically associated with the denial to provide various financial services such as bankingRetail Bank TypesBroadly speaking, there are three main retail bank types. These are commercial banks, credit unions, and certain investment funds that offer retail banking services. Broadly speaking, all three types work towards providing similar banking services such as checking accounts, savings accounts, mortgages, debit cards or insurance. However, there are other examples of such unethical practices associated with other services, including healthcare and retail. The term “redlining” was introduced by American sociologist J. McKnight in the 1960s. Using the term, McKnight described the discriminatory practice employed by banks when investments in certain neighborhoods were banned based solely on the demographicsDemographicsDemographics refer to the socio-economic characteristics of a population that businesses use to identify the product preferences and purchasing behaviors of of the area. In his study, McKnight identified that certain banks denied various financial services (mortgagesMortgageA mortgage is a loan – provided by a mortgage lender or a bank – that enables an individual to purchase a home. While it’s possible to take out loans to cover the entire cost of a home, it’s more common to secure a loan for about 80% of the home’s value., student loans, credit cards) to people living in areas predominantly populated by African Americans. 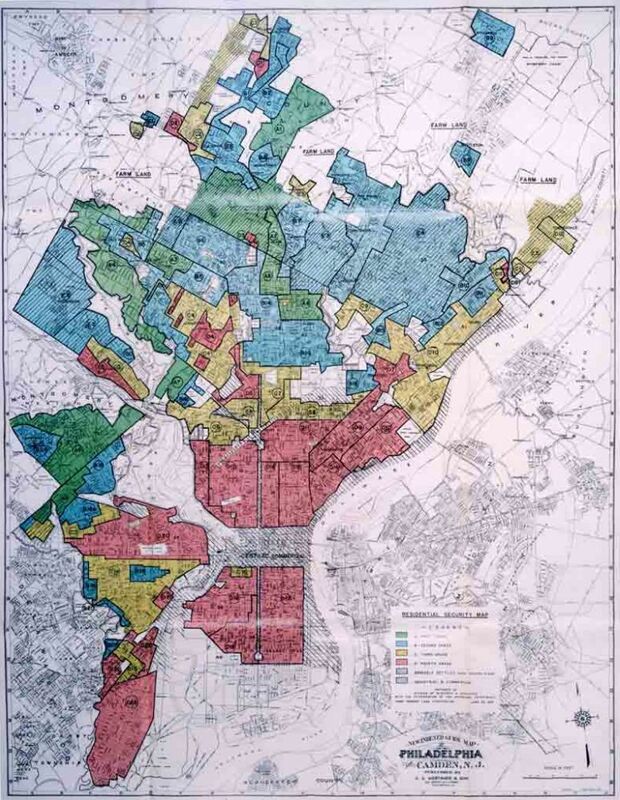 The discriminatory nature of redlining makes the practice illegal. Businesses are prohibited by law to deny providing services to customers based on the latter’s race or ethnicity. For example, the Fair Housing Act in the United States protects housing buyers and renters from discriminatory practices that could be employed by sellers or landlords. Additionally, the Community Reinvestment Act bans all redlining practices in lending. Redlining adversely affects both the economic and social conditions in an urbanized area. The practice hinders the economic development in neighborhoods populated by ethical minorities since it paralyzes the housing market in the affected areas and limits the inflow of investments. As a result, the redlined areas become underdeveloped while their residents become poorer. In addition, redlining fosters the so-called hood culture in the affected areas. The urban population becomes more segregated because residents of redlined neighborhoods tend to bond together and oppose other communities in order to overcome the harmful impact of the practice. Eventually, the practice results in the destabilization of the urban community.